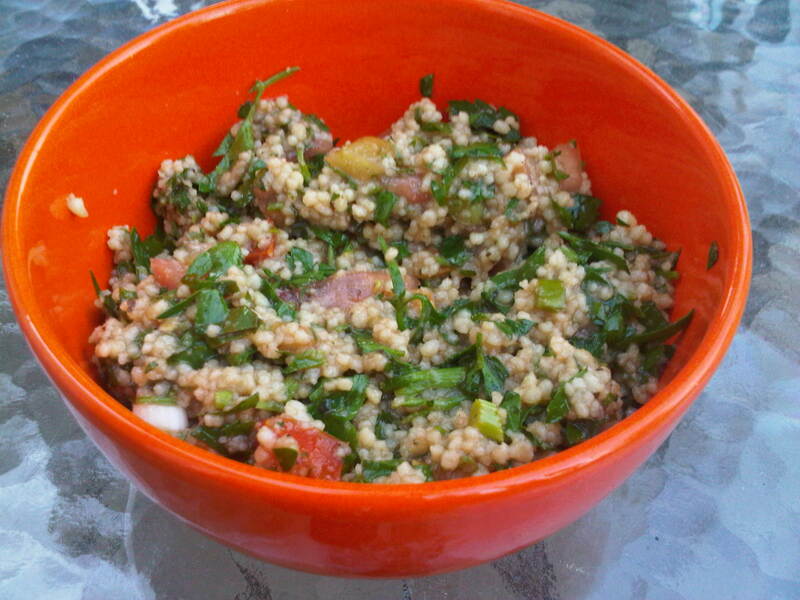 Tabbouli is also known as Tabbouleh, Tabouleh or Tabuli. It’s a salad that is traditionally made with bulgur, finely chopped parsley and mint, tomato, green onion and seasoned with olive oil and lemon juice. What I really love about Tabbouli is that it’s so refreshing. What I dislike is the amount of time it takes to prepare the bulgur wheat. Really…soaking overnight or doing the shortcut version with boiling water and waiting an hour. IMHO, that is much too long for salad prep.